through each gun, and they are really great. who are used to handling the English bests." It is with great excitement that I am announcing our latest shotgun: The A-10 American™, a full sidelock hand detachable, very low profile over and under shotgun for those who demand the very best. 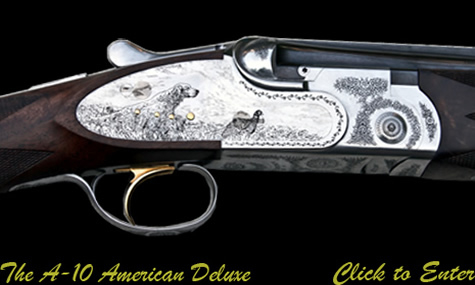 The initial offering of this gun is available in a standard and a deluxe configuration. 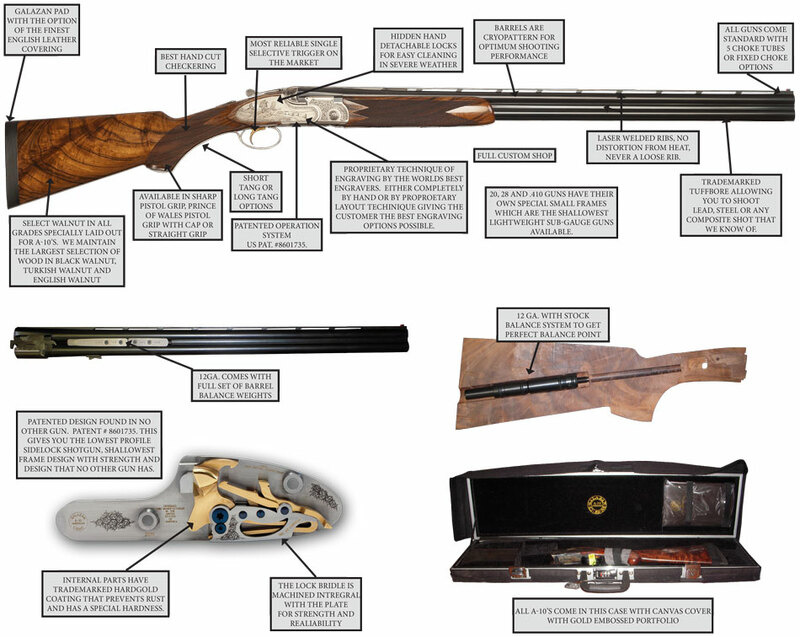 It can be ordered as a 12 gauge with the option of adding or changing to a 20 or 28 gauge barrel, or it can be ordered as a 20 gauge small action frame with the option of ordering a 28 gauge barrel that can be equipped onto your gun with no need for alteration. This gun is produced in our facility, in New Britain, CT, and is carried out to the highest world standards. Quite frankly I don’t know of another gun that is stronger, or made at a higher level then the A-10 American™. 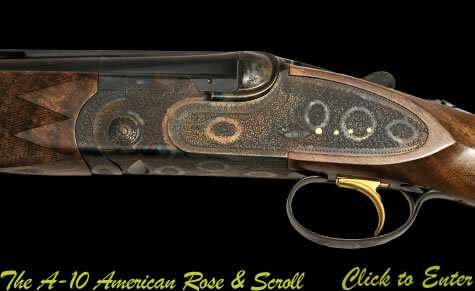 This gun is handmade and exhibits the highest level of the gunmaker’s art. This is a very limited production gun. 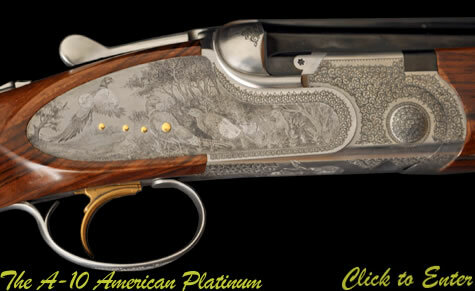 For the initial group of people that order this fine shotgun, we are offering a special introductory price; and to thank all of our loyal customers, I am offering an additional price consideration for anyone that is a current patron of Connecticut Shotgun. Please look through our website and if there are any questions that are not answered please give us a call and we will be happy to speak with you. Once again, thank you for your consideration and anyone that is not familiar with our company; we produce only the best. Our ultra precise machining capabilities combined with our incredibly dedicated gunsmiths makes Connecticut Shotgun Mfg. 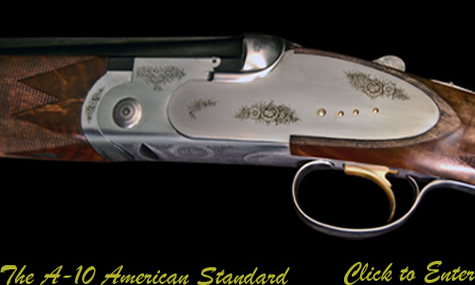 Co. the most state of the art double shotgun manufacturing facility in the world. 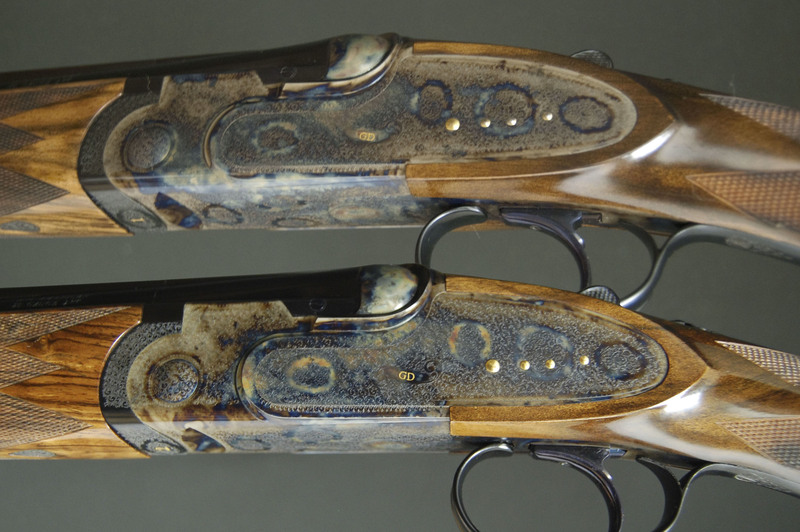 There is no company with a larger commitment to produce the best shotguns in the world. We put all that energy into the crafting of the A-10 American™: A full side lock hand detachable O/U shotgun.